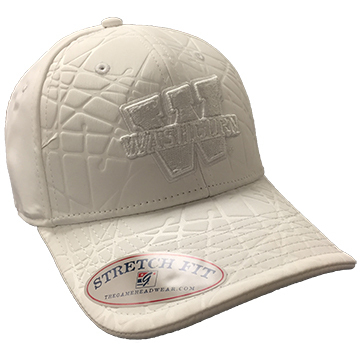 Stretch fit cap features embossed fabric on front and brim and Washburn W logo. 97/3 Poly/Elastane. Made in China. One size fits most. 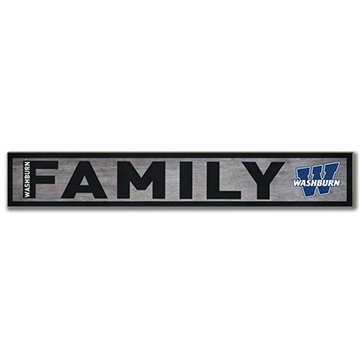 Approx 20" long and 3" wide, this wood hanging features Washburn Family graphics. Made in the USA. 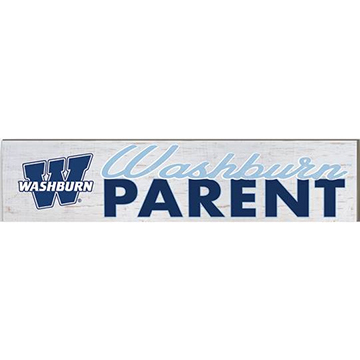 Wood hanging features Washburn logo. Measures 3x13". Made in the USA. 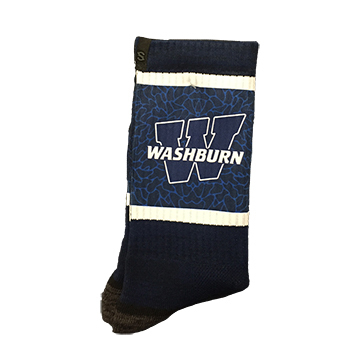 Long, soft crew cut, navy blue socks feature Washburn Athletic "W" logo. 32% Nylon, 20% Polyester, 43% Cotton, 3% Elastic, 1% Spandex, 1% Rayon. Made in the Philippines. 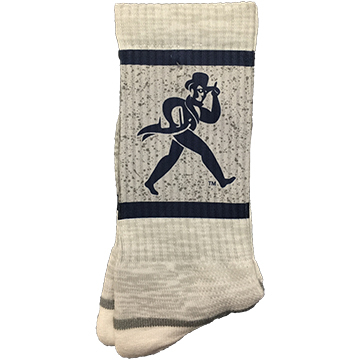 Long, soft gray crew cut socks feature Ichabod logo. 32% Nylon, 20% Polyester, 43% Cotton, 3% Elastic, 1% Spandex, 1% Rayon. Made in the Philippines. 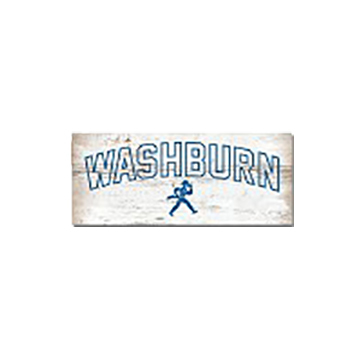 Wood table top stick features navy blue Washburn outline graphic with Ichabod mascot. 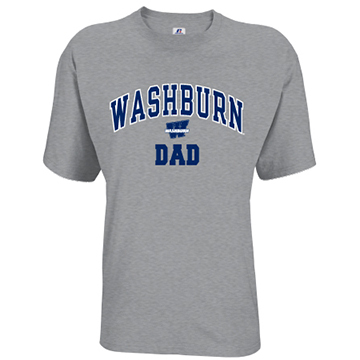 Please select option for Tee - Washburn Arch Dad. Classic crew neck short sleeve tee in grey heather features Washburn Grandparent graphic in navy block letters. 53/47 polyester/cotton. Made in El Salvador. 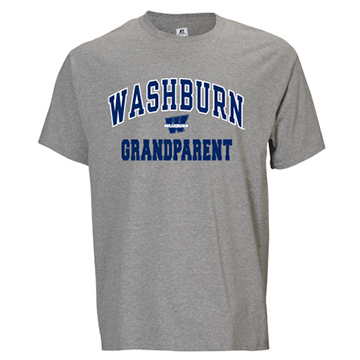 Please select option for Tee - Washburn Arch Grandparent. 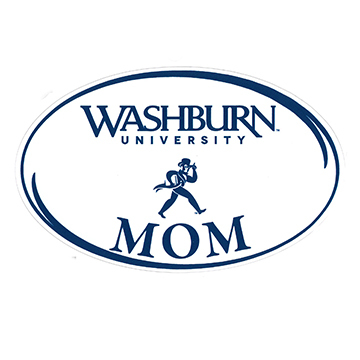 Please select option for Tee - Washburn Arch Mom. 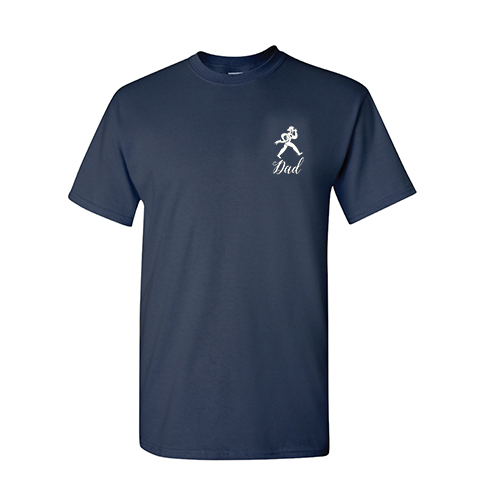 Crew neck tee in navy features white Ichabod graphic with "Dad" script on front, and a large circular graphic on back. 100% Cotton. Made in Haiti. 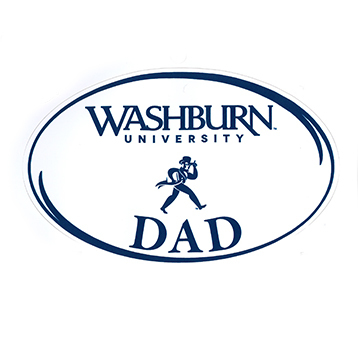 Please select option for Tee - Washburn Dad Bowtie. 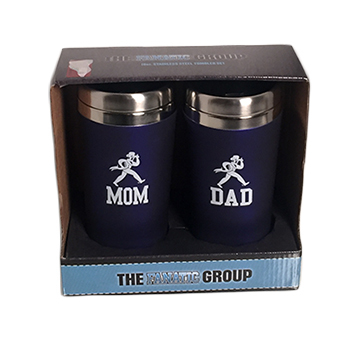 Set of two 16oz Stainless Steel Tumblers imprinted with Ichabod and Mom or Dad logos. 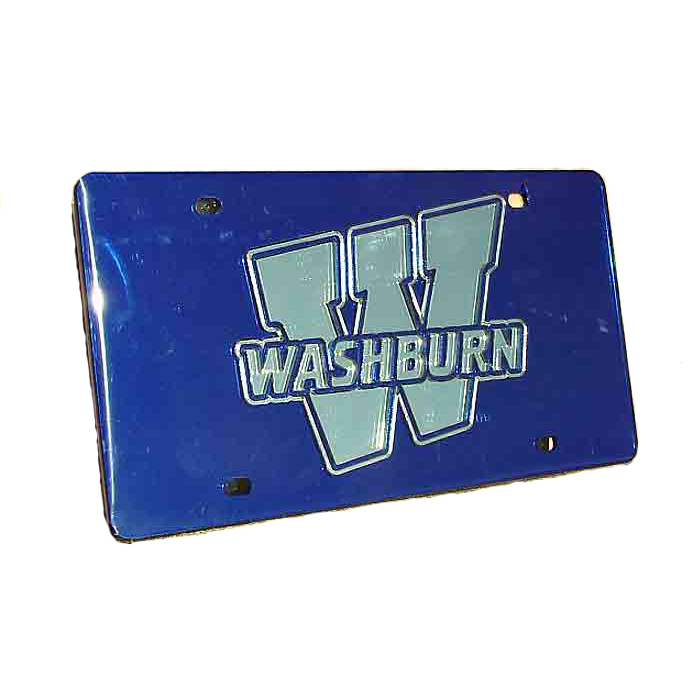 Twist top, double walled construction, easy open slide lid, cupholder friendly. Navy plastic pint tumbler features silver Ichabod graphic. 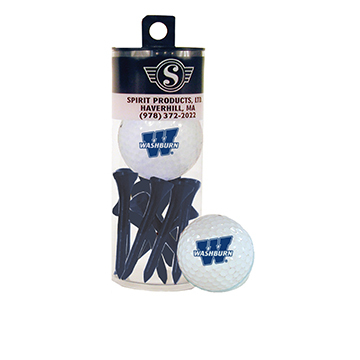 A set of golf tees comes with an imprinted Washburn Golf Ball.